On week 13 I had to miss my weigh in due to going into hospital for a day procedure. I still stuck to plan though before and after the day ( excluding a treat of my first mince pie of the season- which was well earned as I couldn’t eat from 9am the day before my procedure and having sedation that didn’t sedate making the day kind of traumatic all round!). However, it was onwards and upwards from there and I had nothing planned that was going to throw me off plan completely. So weigh in for week 14, I was hopeful that I had lost and thankfully I was rewarded with a 2 lb loss, bringing me tantalisingly close to getting my weight down under the 10 stone mark! Having looked back after a chat in group after my previous 1/2lb gain about the amount of fruit that I eat, I decided to take the advice of another member to try adding more speed veg than fruit and maybe cutting the fruit down to about 3 pieces a day. In all honesty I didn’t think this would matter much to me but it really seems to have made a difference with my weight loss. As you know I am unable to exercise in the normal way due to my illness so I knew over all when I joined any weight loss would be slow. I have also factored in a few EESP days throughout each week now which I also think may be helping and I have managed to up my fluid intake loads after picking up my £5 bargain bottle, that you can add fruit to, from Matalan. So onto this week and weigh in this morning. My over all hope was for a maintain as I had gone last Tuesday to review a festive afternoon tea, which obviously I had to scoff at least try everything ( it’s a dirty job but someone has to do it!). Well it would be rude not to! The food at the tea was absolutely lush and after just over 3 months on the plan it was a sheer delight to go and properly indulge and be guilt free in doing so. I made sure I only had some fruit for breakfast and after the tea I wasn’t hungry for the rest of the day so I only had a piece of fruit with my cuppa in the evening. I then decided to do a few EESP days to help balance out the over indulgence. However, by Saturday this week I started to feel bloated and realised this would be the week I would be due my period and therefore a possible gain ( which has happened pretty much every 4 weeks since starting). So, I went with the full expectation of a gain/ maintain to be totally blown away by getting another 2 lb loss!! I am shocked to say the least but super chuffed at the same time. I was also rewarded with my Club 10 award ( for losing 10% of your weight) which was just the icing on the cake today. I can now say that I am in single figures ( only by a smidge but even so!) and in truth it feels just bloody marvellous to now be under the 10 stone mark. I am now a little more hopeful for next week and I have nothing booked this week that will knock me off plan. I will continue to factor in a few EESP days, drink lots of fluids and opt for speed veg and continue to limit my fruit to 3 or 4 pieces a day. Today though I will celebrate with a proper size mince pie ( my absolute favourite at Christmastime) and still stay within today’s syn limit………………………..be warned my will power is strong now! So, here’s hoping for another loss next week ( although now I have said it I will probably gain). This week I had the chance to go and review the Festive Afternoon Tea ahead of it’s launch at the Marriott Hotel in Bexleyheath, it will be available from Wednesday 23rd November and will cost £23.50 per person. Christmas on a plate as far as I am concerned! As you van see no mention of mulled wine or mince pie, however, there is an option to add a glass of champagne if you feel like celebrating! When the food arrived we were advised that there was a recommended order to eat both the sandwiches and the cakes! Being good law abiding citizens my friend and I followed the rules and to be fair with regard to the fillings of the sandwiches the order really worked. They were nice thought about flavours with assorted breads and they seemed to work well together as a whole. The festive theme worked here with the inclusion of cranberry bread, turkey, brie and a delicious spiced apple chutney to name a few ( and no not all in the same sandwich!!). The scones were wrapped in a napkin to keep some heat in and were as expected beautifully fresh and crumbly. The cream and strawberry compote were presented in gorgeous little individual jars which gave a uniqueness to the presentation itself. The cakes also had a recommended order in which to eat them…………..who are we to argue! They consisted of a strawberry tart, a bite sized stollen, a raspberry mousse ( which was my absolute favourite), and a chocolate yule log. Now I don’t know about you but a strawberry tart instantly makes me think of summer so I was a little surprised to see one on there. Do not get me wrong all of the food on the afternoon tea was absolutely delicious, there was nothing I didn’t like ( apart from the stollen, but that’s my individual taste buds- I dislike marzipan), all the flavours worked wonderfully, however, if it is advertised as a ‘festive’ afternoon tea I would generally expect the cakes to be Christmas/ Festive themed. So perhaps if a mince pie is not included, then it should be, there is also scope for maybe something gingerbread or Christmas cake styled instead of the summer flavours of strawberry and raspberry. The staff in there are lovely and we were offered refills on our teas and our cream and jam if you needed any. We were not rushed in any way and the bar area we sat in had a wonderful relaxed feel to it with music playing in the backround and we felt we could sit there most of the afternoon. I did check with the manager there if this afternoon tea was the same throughout all Marriott hotels but we were told that each hotel chef had free reign to interpret the festive flavours in their own way. So you may see pictures of other Marriott hotels serving theirs in a very different way, for now I can only comment on the Bexleyheath branch. This will be what you will get for your money at this particular hotel. I would say although I thoroughly enjoyed the food and couldn’t fault any of the sandwiches, scones or cakes individually ( they were each delicious in their own right), I would however, feel that the afternoon tea itself would be much more festive if mulled wine was offered as an extra instead of champagne, and that all the cakes were Christmas themed/ flavoured. I would have been slightly disappointed myself to have paid the full price and not had, what I consider to be festive essentials, included. This afternoon tea will be available from Wednesday 23rd November through to Thursday 12th January and will cost you £23.50, with the option of adding a glass of celebratory champagne for a further £6.50. Afternoon teas are perfect for friends to get together for a good catch up, or for treating yourself to a relaxing afternoon for a special occasion or family to get together. It’s a total indulgence…………………………….so go on……………………..indulge yourself! As you may already know I weigh in on a Monday morning ( which is a killer straight after a weekend!) and this can be a good or a bad thing depending on how the weekend has gone. I have had a very slow few weeks socially so it has had the advantage of me sticking to plan 100% but before lasts weeks weigh in I had a few rough M.E days which saw me in my pj’s on the sofa. I know regardless of me sticking to plan or not if my activity levels drop the so does the weight loss unfortunately. Therefore, it was no great surprise when I maintained my weight from the previous week, expected but still a little disappointing if I am honest. On the up side I won the raffle again!!!! I know……..again! My husband keeps encouraging me to buy the Euromillions ticket now thinking I have the lucky touch. I had my MIL with me that week and she paid for the raffle tickets so it was only fair we split the prize ( as she wouldn’t take both items lol) so it was another fab little microwave jug for me to take home. This week though I had very high hopes of a decent weight loss. I stuck to the plan 100% (again!) and I even reduced the amount of potato, pasta and rice that I would normally have on my plate substituting them for more speed food. I even resisted any temptations when we visited our son at Uni on Sunday and all went for a meal out. While my MIL went full hog with scampi and chips I opted for a grilled chicken breast and salad ( only because I am so close to the 1 stone target I didn’t want to spoil it on the day before). 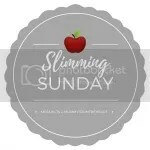 So, weigh in morning comes and to be honest I was fairly confident I had managed the 2 lb weight loss I needed to reach my 1 stone………………however, it was not to be and it was only a 1lb loss. To say I was GUTTED was a total understatement. It really feel like I will never get to that 1 stone mark, it is so frustrating to say the least. I had promised myself that if I got to a stone I would treat myself to a lovely piece of cake from my favourite coffee shop…………..that has been put on hold again *sobs*. Our group is a really friendly one and everyone is really supportive so when it came to my turn to talk everyone was chipping in with ideas. After all the chat I have some SAS sheets from the group leader to help me make sure I am following the plan right plus I have decided to give the EESP a try for this week. So today is day 2 of that plan and it seems to be going well, with the extra HexB and the fact I had already cut down on the carbs last week means that cutting out any pasta/rice or potatoes shouldn’t be a major issue. I have set a 2 lb loss for this weeks target, I will have to try and be active most days ( which is easier said than done with having M.E- but I will try) and my head is totally in the zone to get that loss as I would still love to lose another 1/2 stone before Christmas if I can. So please, send ALL your lucky vibes my way I am in desperate need for next week’s weigh in! I was away last week and so didn’t have a weigh in. My previous week I had a gain of 1/2 lb which was disappointing as I had stayed on plan ( apart from an ice cream!) But although I was away with the family I was able to easily stay on plan as I was still preparing all my meals. The only treat that I wanted when I went was proper seaside fish and chips, which is something we always get at a fabulous fish shop on Herne Bay sea front. I planned this meticulously thinking it was best to have this on the Monday I was missing my weigh in. That way I was on plan all week, had my fish and chips and then went straight back on plan for the next week. In all honesty, and I can’t believe I am saying this, but I didn’t enjoy it as much as I thought I would……….totally weird! Anyway, along came the next weigh in and low and behold I lost an amazing 3 1/2 lbs over the two weeks!! I was absolutely chuffed as this got me within a 1lb of my half a stone before my cousins wedding target. My dress felt more comfortable and less ‘strained’ when I wore it. Again I stayed on plan up to the day of the wedding, knowing that on the day I would fully enjoy an off plan dinner and pudding along with copious amounts of G+T!! I didn’t want to think about it on the day, I just wanted to go and enjoy every minute of it. ….. and enjoy ourselves we did! lessened the blow of the 1lb gain! This week though I have been very strict with myself, including lots of speedy veg and fruit and cutting down on the free rice/ pasta and potatoes. Last week I opted to aim for a 2lb loss which would take me to my first half stone loss which I think will make all the difference mentally, however, as weigh in looms tomorrow morning I am beginning to doubt I have lost anything and I won’t lie I will be VERY disappointed.